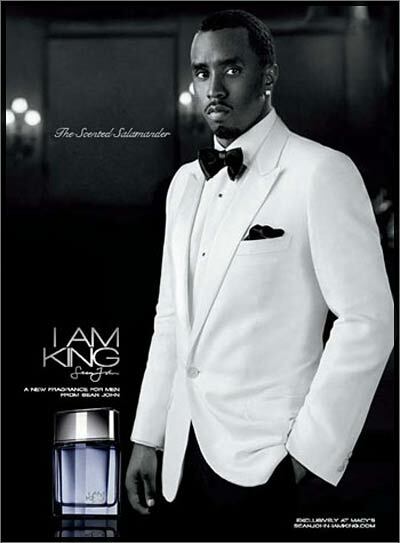 Sean John has a new fragrance for men ready to hit stores next month called “I Am King”. Although TV & Print ads have already been completed, Diddy has decided to add more to it.Â Diddy plans to promote the fragrance in a lunch he will hold in Los Angeles and on TV talk shows and link his new fragrance and Obama.Â Diddy recently told the Wall Street Journal, “When you see Barack Obama, you see a strong, elegant black man and when people see my ad, itâ€™s almost like thatâ€™s the trend.â€œ I personally think it will be interesting to see how far Diddy will go with this. I have a feeling it won’t stop there.